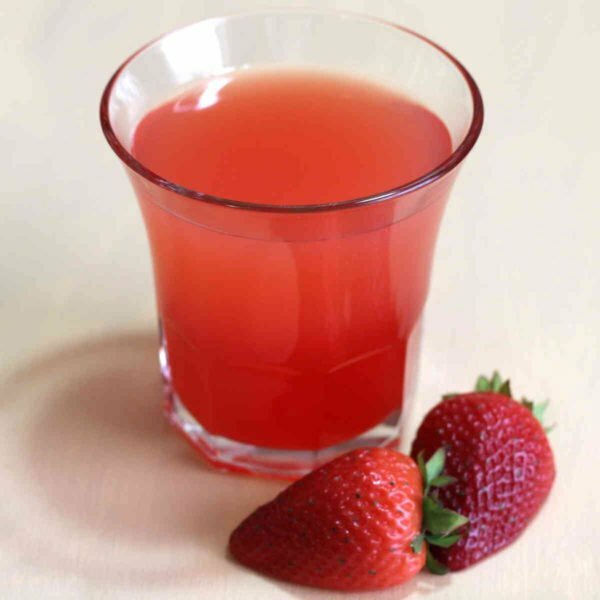 The Strawberry Sunrise is a dessert cocktail. You can certainly drink it as an aperitif or with a meal or by itself, but if you’ve got a hankering for sweets, this drink will take care of it. No cheesecake necessary. 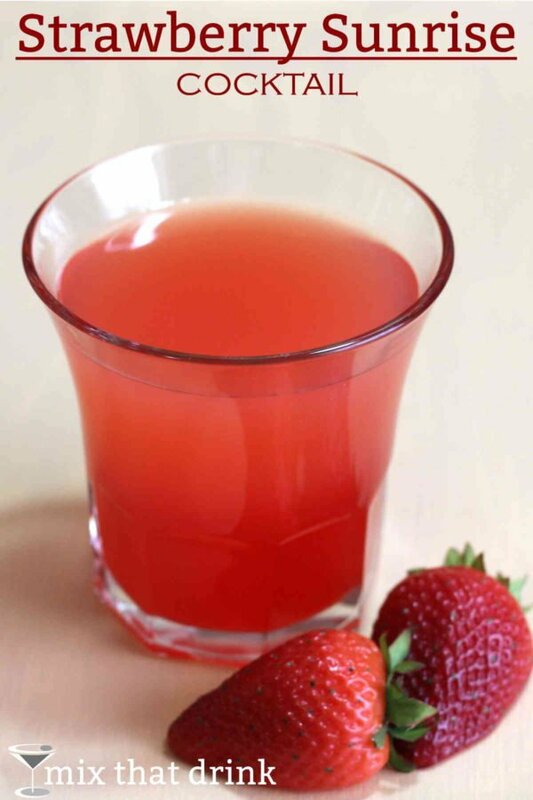 The Creme de Fraises is a very sweet and powerfully flavorful strawberry liqueur. Combined with several ounces of orange juice, this drink is almost like a big orange and strawberry smoothie. It’s low on alcohol, which makes it a big hint with light drinkers. While fresh squeezes orange juice is always ideal for cocktails, it isn’t really necessary in this one. The creme de fraises flavor is intense enough that you don’t taste the orange juice separately from the rest of the drink. I do recommend using an orange juice that’s not from a concentrate, however. This drink is also supposed to have a lovely visual effect, which didn’t quite work out for me. When you drop the grenadine right down the middle of the drink, it’s supposed to add this red glow that blooms upward, like in the Tequila Sunrise. But when I poured the orange juice in with the creme de fraises, everything turned pretty much red right there. And then the grenadine just made it all a little bit redder. If you squint very hard at the photos, you can see it’s a little paler at the top, but that’s it. I’m guessing it depends on the exact brand of creme de fraises, or the type of orange juice you use, how the colors all go together. But that’s okay because it’s really delicious either way. Build the ingredients into a highball glass. Drop the grenadine in last, so it will sink to the bottom of the drink and form a little red spot down there, creating the sunrise effect.